Writing on Wednesday: The holycow feeling of just being human. Or today we burn clouds. I had a hard time choosing a title for this post because the subject matter is dripping with delicious verbal concoctions. 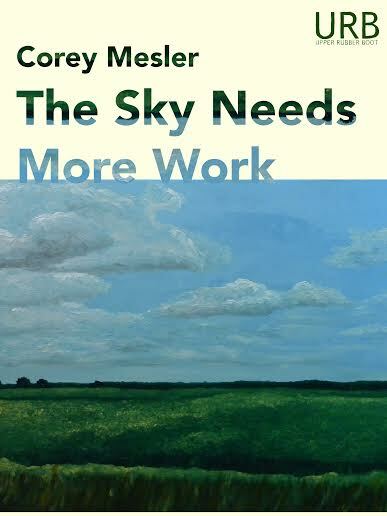 Corey Mesler’s new book of poetry, The Sky Needs More Work, will be released as an ebook at the end of the month from Upper Rubber Boot Books. I was Corey’s fan for a long time before I became his friend. His poetry (and his prose) sometimes informs, often entertains, and always inspires. (And that was my attempt at writing a lyrical sentence.) Here’s a sneak preview—but be sure and buy the book when it comes out! “Dear Editor” captures how all writers must feel at times—but maybe poets more so than others. Why? Because for a poet every word is a sentence. Every line is a paragraph. Every stanza is a chapter. The stakes are higher. And the muse can so easily play havoc with those words. “Storytelling,” “Writing So Clear” and “Witchery” give us a peek into the writer’s labors and angst. “The Sky Needs More Work” is a tribute to the poet’s overwhelming calling and eternal palette. Corey shows how we “limn the infinite with crude tools” and “work for the furtherance of body and soul”…. here, a trope about harmony. for it. Today we burn clouds. satisfied like a goddamn poem. 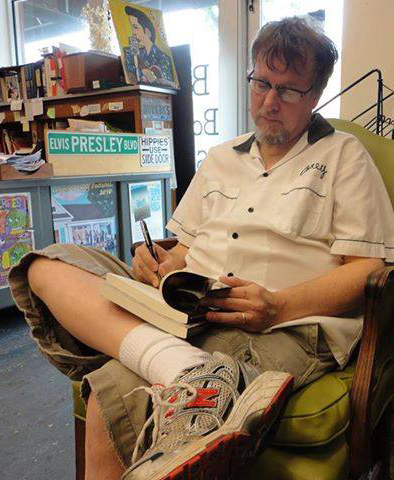 And of course his irreverent humor shows up in poems like “At the Mapco,” which reminded me of some of the voices I loved in Corey’s novel, Diddy Wah Diddy: A Beale Street Suite. ISBN 978-1-937794-42-2 (epub) is forthcoming for iPad, Nook, etc. ISBN 978-1-937794-40-8 (mobi) is forthcoming for Kindle on Amazon. ISBN 978-1-937794-41-5 (pdf) is forthcoming at Smashwords.